Posted May 13th, 2013 by Rachel Hammond & filed under Uncategorized. One of the many wonderful things about Cornwall is the heritage that still exists and family traditions and skills. 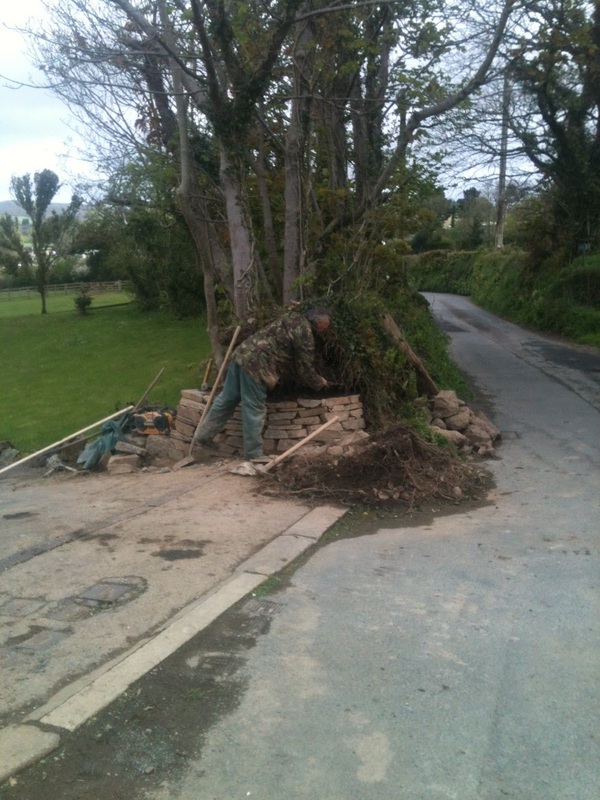 This week we had Trounce Guy, who is Cornish through and through, replacing some hedging. Hedging is in his blood as his father taught him everything he knows. You can admire his craft on the entrance to the cottages. This week also saw some much needed days out for us as we had friends visiting and what an education in Cornish weather it was. We headed to St Ives and on route the weather did not look in our favour – heavy rain and wind. In fact we came close to turning round as we had a pregnant friend with us. However as we turned the corner into St Ives we saw a glimmer of blue. We headed straight to Porthminster Beach Cafe for lunch which I can sum up in one word – WOW! The food was amazing. We had Jessica who is 9 months old with us and the service couldn’t have been better – she was looked after better than us in fact! After an utterly delicious meal we headed onto a deserted Porthminster Beach – it was stunning; blue skies, clean sands and clear sea. We explored the back streets of St Ives and admired much of the local art work whilst basking in the sun. Our second outing saw us go to Fowey. Although it is their festival week it was very quiet. Yet more wandering around the streets, down the Espanage to Ready Money Cove, which again was deserted, it was so peaceful and relaxing. By the time we made it to the cove a grey, overcast day had turned into a scorcher and I was regretting not bringing a hat for Jessica. Luckily I have a baby carrier for Jess as the tiny streets of Fowey are not great for pushchairs. We made our way to The Galleon for lunch – another very accommodating baby friendly place to grab lunch. Then one evening we were treated to a meal out at Sam’s on the Beach. What a location and what delicious food. One of our favourite haunts did not fail to impress with a yummy crab and scallops pizza on the special accompanied by a scrummy local wine. Well worth a visit – but book to avoid disappointment. Our final outing of the week was Padstow via Griggs. Griggs is a agriculture shop selling a great selection of clothes including Joules, Merrell, Frugi and Barbour to name but a few. My friends got Hunter Wellies for half the price they had seen in John Lewis! Padstow was busy but lovely – there is nothing better than exploring the fishing harbour, eyeing up the cakes & pasties in Chough Bakery or smelling the fish and chips from Rick’s. Now back to work…and the diet!